Your startup business plan doesn’t have to be 100 pages to explain your concept, vision, and focus for your startup business. It can be as short as one page. 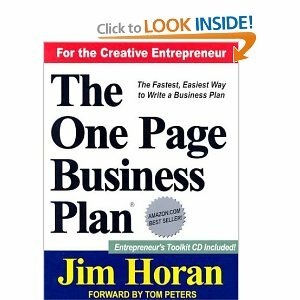 This is illustrated in the book: One Page Business Plan For Creative Entrepreneurs. Learn how to convey your business ideas in short, concise, and clear ways!